The Calderstones are the remains of a Neolithic tomb which are on display in Calderstones Park. In 2008 Merseyside Archaeological Society led a project to investigate the history of the stones. 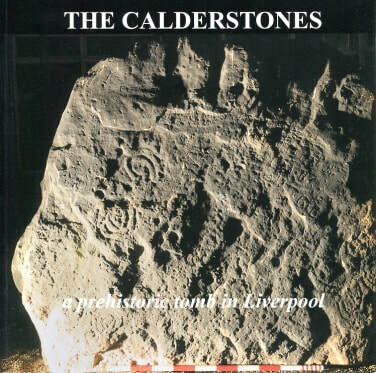 A full-colour booklet on the Calderstones written by Dr Ron Cowell of National Museums Liverpool contains the results of the latest research and thinking about the stones. It is available for £5 at Liverpool World Museum and the café in Calderstones Park or you can order it by post from the Publications Secretary (postage and packing £2.50).